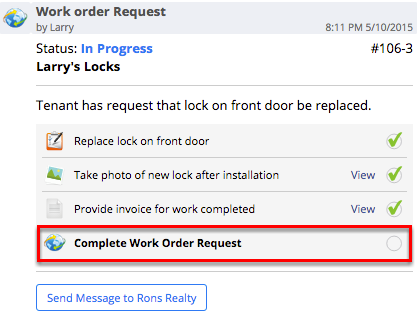 Network Requests will arrive in your ServiceM8 inbox. 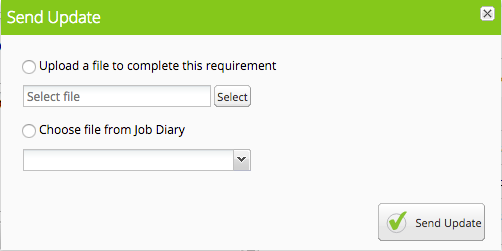 Click Convert to job to accept the request. Photo and Document requirements will prompt you to select a file to complete the requirement. 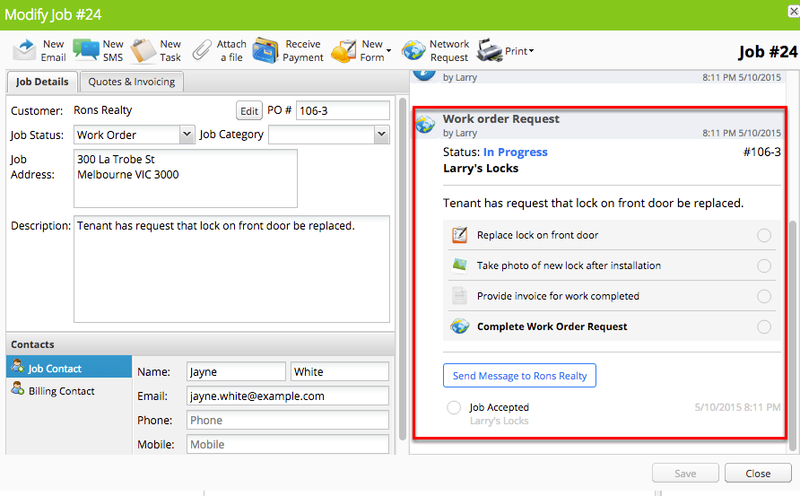 Form requirements (not shown in this example) will open a new window to complete the form when you click the requirement. 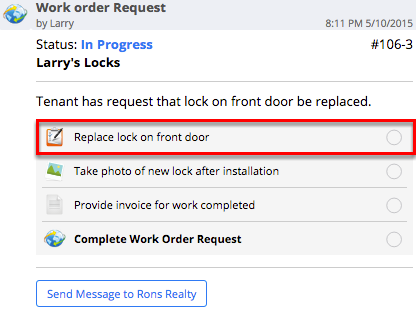 You can tap the "Send Message to [requester]" button to send a message (optionally with attachments) to the requester. 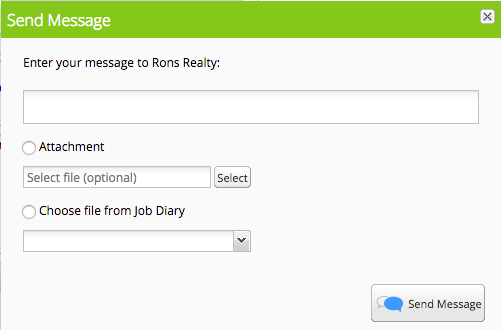 A history of messages sent and receive is displayed below the Send Message button. 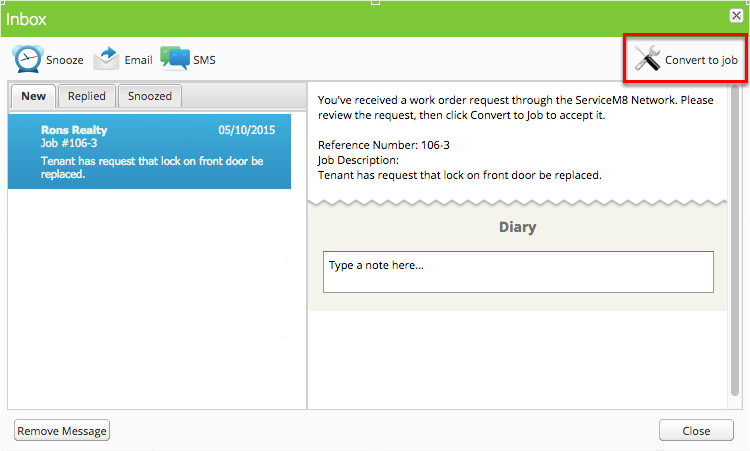 I have contractors set up as staff, should they use ServiceM8 Network instead?